3 years, 8 months, and 18 days. Live the Platinum Rule: Treat others as THEY would want to be treated. 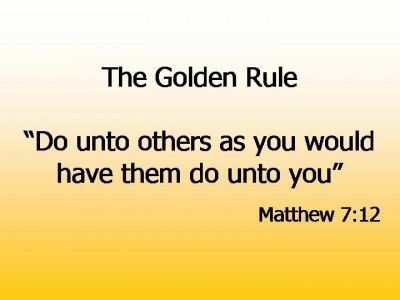 You’ve often heard the Golden Rule: treat others as YOU would want to be treated. While it is not a bad prescription for behavior, I think you can do better. The Golden Rule encourages you to be mindful of others; however, notice the center of attention still resides with YOU. The yardstick for measuring another’s joy is YOUR own. However, when dealing with others, is it not better to measure their happiness by THEIR yardstick instead of yours? For example, Jaialai always saved his Jolly Ranchers for you, Shosh, and for Little V because he knew you guys loved Jolly Ranchers. Although he also loved Jolly Ranchers, he would not eat all of them and leave only the less-favored candies to share with you guys. He knew that you would be HAPPY to have A PIECE of candy, but that you would be MOST HAPPY if you got your FAVORITE PIECE of candy. He lives by the Platinum Rule: treat others as THEY want to be treated. I want you guys to always live by this Rule. If you are going to be kind to another anyway, why not treat them as they would like to be treated instead of how you would like to be treated? How would you know what they want? Remember the Prayer of St. Francis: “Oh Master, grant that I never seek to be understood as to understand.” Ask. Live by the Platinum Rule, and I promise you will have a fuller, happier, and more rewarding life. Inversely, if you live by the code of “Me First!” or “take care of myself first because no one else will take care of me,” then I guarantee you that no one else will care about you. Why should they? Self-centeredness begets loneliness and misery. Don’t go there. 3 years, 8 month, and 16 days. Stay focused on the task before you, and embrace life. Live not timidly. Go after life with zest. Squeeze every drop from each day. Don’t live in fear and timidity. What’s there to be afraid of? People laughing at you? Who cares? Who are they to hold such sway over you? Don’t give them that power. Don’t be a sheep that only follows the herd. In the U.S., we profess to prize individuality and individual freedom; yet, as a society, we hammer down the nail that sticks out. Notice how the other kids treat classmates who do not wear the latest fashion, who like things that are not popular, etc. The crowd rags on those kids. Do what you love, and stay focused on what you are doing. Never mind the naysayers and kibitzers. They are a dime a dozen and will always around. Focus on doing your job, the task before you. Don’t worry about them. For example, I was a pre-med in college before switching to psychology and political science. Family members tried to dissuade me. But, my path has given me much joy, funded my travels and work overseas, and enabled me to have a good life with you. 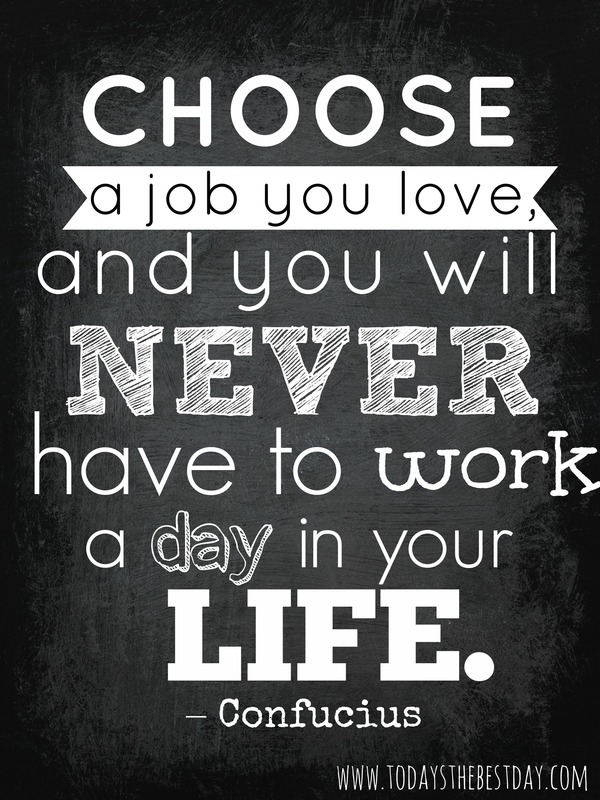 Do what you love, and it won’t feel like work. You’ll enjoy yourself, and your passion will motivate you to do your best. Fortune, prestige, promotions, etc., will surely follow. Focus on you doing what you love and doing your best, and I promise good fortune will follow. 3 years, 8 months, and 14 days. 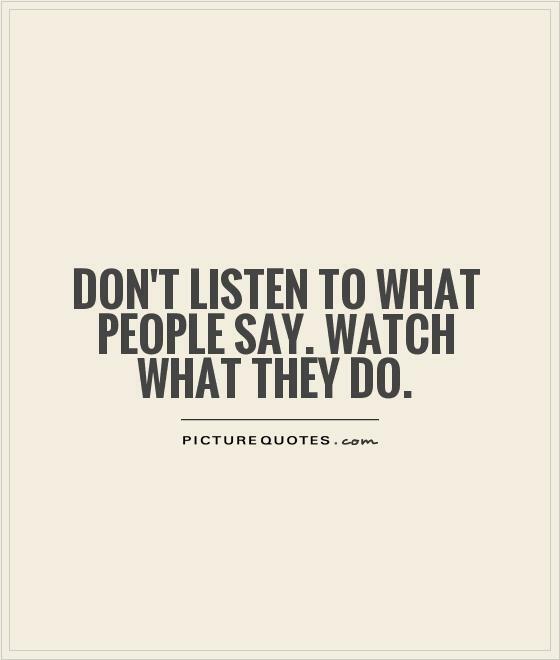 Watch what people do. Don’t listen to what they say. Always remember, words are cheap. Anyone can talk. Any fool can run his mouth. Any slimy salesman can tell you what you want to hear. (Because life is about interactions with others, most of the time, someone is trying to sell you some thing or idea.) Don’t pay them heed. Watch what they do. Those of caliber and worth will reveal themselves by their actions. Their opposites will do likewise. Watch what people do. Then, choose your company accordingly. Let me give you a very concrete example. Your mother claims she has your best interest at heart, yet during the more than one year in which I paid out-of-pocket for you to see a child therapist weekly to help you deal with both the divorce and your grandmother’s death, I debriefed with the therapist AFTER EACH SESSION to discuss how I could help support you based on that week’s session. Guess how often your mother met with your therapist? ONCE. Yes, once in a year and a half. After you went through a particularly rough period because the divorce was heating up, your therapist made repeated and months long requests to meet with your mom to discuss how your mom could support you. Do you know your mom’s response? No. After repeated requests, your mom told us she couldn’t afford the fees for such debriefing. That sounds reasonable enough, right? However, according to bank records your mom filed during the divorce proceedings, SHE SPENT MORE THAN $900 A MONTH ON EATING OUT EVERY DAY. Coffee at Starbucks, lunches at local restaurants, etc., add up. YET, SHE SAID SHE COULDN’T AFFORD THE $30-$60 TO MEET WITH YOUR CHILD THERAPIST TO DISCUSS HOW TO HELP YOU. Yes, that’s having your best interest at heart. (Don’t take my word for it. When we get together, you can see the documents for yourself.) She loves you — never doubt that — but, apparently, not enough to sacrifice her Starbucks caramel macchiato and her lunches. Watch what people do. Don’t put your faith in what they say. 3 years, 8 months, and 13 days. If you love your children, teach them so others would also love them. If not, spoil them. Brangelina’s divorce is all over the news. You cannot escape it. It’s a sad situation for the children. Let’s send them our best wishes and not dog pile on their misfortune. But, there is an important life lesson here. The news report that, among other things, the parents have sharply divergent parenting techniques: Brad, a son of Mid-Western Baptists, has stricter parenting ideas than Angelina, who is more accustomed to pushing social boundaries. We do not know what happens behind closed doors, but we do know that they had one full-time nanny for each child to take care of the children as the parents jet set to film locations, refugee camps, and other locations to meet professional or social obligations. This does not bode well for the kids. Children need routines and a stable home to develop and be happy. Discipline and self-regulation are also important ingredients to their happiness and well-being. To see what I mean, imagine life without discipline. Let’s imagine you are at a free-for-all playground. The only rule is there-are-no-rules. Kids shove each other to go down the slide. There are no lines. The biggest and meanest kid would simply shove others out of the way when he wants to go down the slide or walk up the slide. How much fun do you think the kids would have at this playground? But, even for the bully, at some point, it becomes boring to simply go up and down the slide. No one would play with him. How much fun do you think is would be for him? Now, let’s imagine all the kids playing together. They make up rules for themselves and carve out a game where everyone gets a turn on the slide. The game then morphs into another game where the slide is safe harbor for tag. Everyone has fun. So it is with life. If each of us does whatever we want, whenever we want, it would be chaos. You could not walk down the sidewalk because someone would feel like driving his car on the sidewalk. You couldn’t enjoy the park because people would throw thrash where ever they wanted, and the park would be filthy. People would spit, urinate, and defecate where ever and whenever they wanted. People would steal from each other, and do whatever they wanted so long as the could get away with it. Each of us would have to carry a weapon to protect ourselves the moment we step outside, and be on constant alert for others behaving badly. This would not be a very pleasant life, would it? Below is a diagram I found online about child-discipline. While I don’t agree with everything on there, I like the general idea it is trying to communicate: discipline is necessary for consistency, predictability, security and reward. Without discipline (where everyone does whatever he wants whenever he wants), there would be no predictability, no consistency, no security, and no external reward of friendship, collaboration, kindness, etc. We used to say “Spare the rod, spoil the child.” The Vietnamese say, “If you love your children, discipline them. If you hate your children, shower them with praise and sweets.” Now, in this age of do-what-feels-good, those lessons of our forebears have fallen to the wayside. I set rules and boundaries for you guys because I love you. I limit your screen time because I love you. 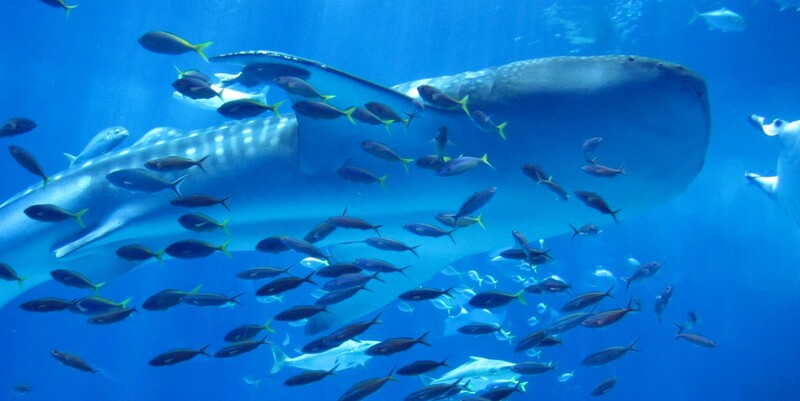 I bought annual memberships at the zoo, museums, and aquarium; and I regularly took you to those locations, the beach, etc., because I love you. I made you play outside because I love you. It would have been easier for me to let you watch as much TV as you wanted, to give you whatever you wanted whenever you wanted it, to allow you to do whatever you wanted … but that would not have been good for you in the long run. I could have been like your mom and sit and watch TV instead of taking you guys out to your favorite part next door. But, then again, that would be about me, and not about you, right? Parents who allow their kids to “find their own way”and “discover life for themselves” are lazy parents. Their job as parents is to guide their children. 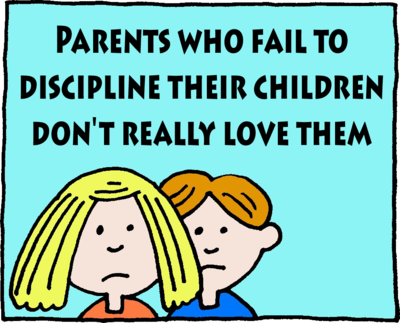 Their job is to discipline their children, and help the children learn to discipline themselves. I am no longer physically there to help discipline you guys, but I hope I have instilled enough in you during our time together that you can now be self-disciplined. Don’t let your mom’s laziness destroy our efforts. You know what to do, so do it. For example, you know you must do your homework before you watch TV. So, do it. You know if you spend too many hours playing video games, on social media, or in front of the TV, then your eyesight, your social skills, and your physical health would suffer. So, limit your screen time. You know that if you do not floss and brush your teeth well, you will have cavities. So, floss and brush well. You know that if you do not study hard, you will not get into good schools and will limit your future. So, study hard. 3 years, 8 months, and 12 days. Happiness is being grateful. Truth be known, my siblings and I are an accomplished lot, but we are a bunch of malcontents. We are perfectionists. (No, that does not automatically translate to us expecting others to be perfect … just ourselves.) We are educated. (Yes, an ungodly number of us have doctorates  and master’s degrees .) We are relatively successful. (Our number includes a physician, a lawyer, a college professor/assistant dean, and a bunch other educators.) But, malcontents we are nevertheless because we were not taught to be grateful. We were taught to push ourselves…to strive for perfection. That is an incomplete life lesson. I am teaching you to be grateful. Be thankful for what you have. Push yourself to be better, but be grateful for what you have — your health, your wit, your sense of humor, your brother who loves you, your mother who loves you, your dad who loves you, your relatives who loves you and are there for you, your friends, a home that is safe and warm, food so that you do not go hungry, a safe environment so that you do not have to duck bullets nightly, water, clean air, grass, trees, etc. I have met children who had spent their entire lives behind the barbed wires of the “refugee camps” into which they were born, who had never felt grass beneath their feet, experienced the wet nose of a puppy, felt the wind blowing through their hand and hair as they drove through the countryside, splashed in streams to catch guppies and crawdads, etc. Be grateful. It is the key to happiness. I am grateful every day for you. 3 years, 8 months, and 10 days. If you must judge another, walk in the person’s shoes before you judge. I dreamt of you boys last night. I hope everything is OK. I miss you, and wish with all my heart you could be here. Life doesn’t have to be as hard we make it in America. We are not a happy lot. We claim to be free, and to let people live as they wish. But, it’s a lie. We judge — harshly, at times. We shun and ridicule those unlike ourselves, those who do not follow the herd. That’s not right. Be kind. Try to understand another before you judge him or her. Now, understand off the bat that I am not talking about situations where there is risk to life and limb. If I am walking down a quiet street and see a gang of rough looking characters (wearing chains, low-slung pants, ripped t-shirts, and otherwise looking unsavory), regardless of their skin color and intellect, I would cross the street to get away from them. Their choice of clothing and presentation tells me they are not a genteel lot. Heed such warnings. However, if in a normal course of life, you should find yourself standing next to a stranger, and if there no danger is present, try to get to know the person before you judge. Maybe his clothes are rumpled because he had to spend the night at Gramma’s house last night because his dad had to work late, not because he is lazy and messy. Maybe that kid took two cookies at the school birthday party (instead of one as requested) because his family is poor and he didn’t have dinner last night. (One in five children do not have enough food to eat, http://www.feedingamerica.org/hunger-in-america/impact-of-hunger/child-hunger/child-hunger-fact-sheet.html.) He is not a bad person because he is poor. It is a matter of circumstance and misfortune that he wasn’t born into a wealthier family. Likewise, just because someone comes from a wealthy family and dresses well does not mean he is a good person. The quality of person has nothing to do with his wealth, or lack of it. Never confuse character or class with wealthy. One has nothing to do with another. I learned that lesson years ago when I first started working with refugees. The letters we received at the non-profit organization I volunteered with told stories unfathomable cruelty and unimaginable misery. We were shocked and dismayed that individuals who had suffered thusly were being denied protection as refugees by the international community. From the perspective of the asylum seekers, the system failed them. However, after spending a year overseas volunteering with another non-profit organization that helped refugees, I gained a fuller understanding of the situation. I discovered the system was flawed but the asylum seekers were not without fault. International law protects those who fled their countries because they were persecuted, or have a well-founded fear of persecution, by their government because of their race, religion, nationality, political opinion, or membership in a particular social group. https://www.uscis.gov/humanitarian/refugees-asylum/refugees. Thus, international law does not protect those who fled because of poverty, abuses by bad neighbors, etc. A mechanism was designed by the international community to screen out those who do not satisfy the legal definition of a refugee. The asylum seekers — who had spent what little fortune they had and who had risked their lives and the lives of their loved ones to seek better circumstances for themselves — feared a poor return on their investment. Thus, many took to embellishing their stories to enhance their chances of gaining recognition as refugees. These embellishments, in turn, caused the government agents who screened the refugee claims to heighten their scrutiny and, sometimes, raise the bar for refugee status. Thus, began the death dance that killed the real refugees, the ones meant to be protected by the international legal system. Until I considered things from the perspectives of the immigration officers, I didn’t understand all that. When I was in the U.S. and heard only the perspective of the asylum seekers, it was easy to think ill of government officials as cold-hearted and callous. Only after I immersed myself in the refugee situation and worked daily with both refugees and government officials was I able to fully understand the challenges faced by all parties involved — the government officials trying to discharge their official duties and the asylum seekers trying to assert their rights. It’s a mess, but that is the point, isn’t it? Life is messy. Don’t judge until you understand. First, try to understand. As Atticus said, you’d get along with all sort of people if you first tried to understand them. 3 years, 6 months, and 6 days. Be awesome. I think you boys are awesome. You should know that. You are the best sons a dad could ever have, and I am so very proud of you. These are dark times when we are apart. But, life is long, and this too shall pass. One day, we will reunite, and karma will exact just punishment on those who inflicted evil upon us. Live well. Be happy. Continue to make me proud.